Abstract: George Bernard Shaw said “The greatest problem with communication is the illusion that it has been accomplished.“ Today our challenge is to foster transformative communications between students in the world’s diverse cultures. But how to embed this process has become an essential question for higher education. Collaborative Online International Learning provides such a vehicle for direct and personal global experiences for students, faculty and staff. Over the last decade the success of COIL programs has been demonstrated in a wide variety of courses using a range of tools. But how do we move these programs from the exception to the exceptional? At the COIL Center’s 6th Conference we explore paths that may take the normalization of COIL experiences into the mainstream of higher education through a series of dialogues with those leaders working to make that happen. Beginning in 2012, SUNY Oswego embraced COIL as an innovative way to internationalize the curriculum with a special emphasis on incorporating advanced communications technologies into the course structure. Through the COIL model and in less than two years, Oswego has significantly enhanced our reach to the world and more forcefully integrated international topics, issues and questions of globalization into the curriculum. The institution-wide initiative involves a Provost led goal to develop a network of COIL courses that will double the number of students participating in some form of international academic exchange by 2015. Individual COIL courses serve as building blocks to more widely scale international engagement across the campus. A strategically integrated administrative structure is offered to prompt faculty to develop courses and to provide continuity and sustainability for the internationalization practice. The integration of professional development services includes course design, technology support, financial incentives, and faculty visits abroad to establish collaborations with universities and individual scholars. The Great Lakes Colleges Association (GLCA), a consortium of liberal arts institutions, developed an ambitious project to support creative connections between U.S. and non-US liberal arts campuses. The program is implemented through the Global Liberal Arts Alliance, a GLCA initiative comprised of 27 institutions in 15 nations. In this program two college classes, one from a U.S. based campus and one from a non-U.S. based campus, connect via technology in a way that enhances international perspectives. During the first two years 24 courses have been linked with Internet-based technology, with methods chosen to enhance student group work, joint classroom discussions, and shared class content. The larger goal is to create a globally inclusive, collaborative community of liberal arts educators. Global Course Connections has expanded connections involving teaching and research, as well as resulting in a commitment to explore shared academic majors and programs among the Global Liberal Arts Alliance institutions. Coventry University [CU] aspires to offer international experience to all its students by 2020, through a holistic, progressive approach to internationalization articulated around both international mobility (e.g. 2,800 students going abroad in 2013-14) and internationalization at home. The latter refers to both curricular and extra-curricular programs aiming to develop students’ Intercultural Competency [ICC], i.e. the ability to communicate and operate effectively and appropriately in cross-cultural contexts (adapted from Deardoff, 2006). The acquisition of global forms of knowledge, attitudes and skills underpin all of these activities. Curricular mechanisms typically include Online International Learning [OIL] projects and inclusive approaches to cultural diversity in the classroom – e.g. engaging non-UK students in offering different cultural perspectives and case studies. Systems and funding mechanisms have been established since 2012 to foster genuine, institution-wide strategies and policies to support ICC development for staff and students. I will present examples of such developments across faculties and outline obstacles encountered and remedial strategies to address these. 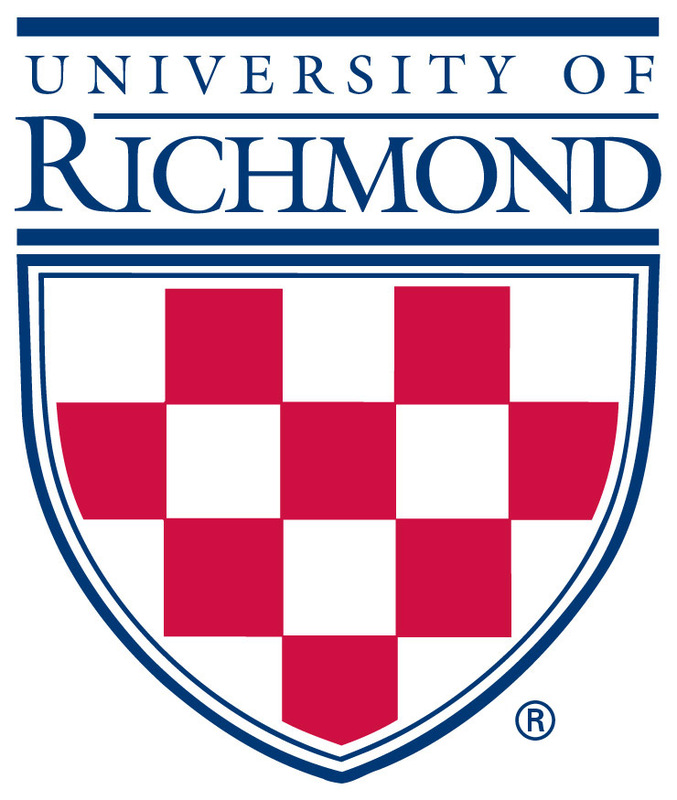 Specific examples of a project aimed at creating a campus-wide Richmond version of COIL will be discussed and demonstrated. With more than 60 active exchange agreements around the world, the University is in a unique position to develop strategic COIL partnerships. This will be accomplished by involving faculty and students in collaborative teaching/learning and research, using online technologies. We view Richmond COIL as an addition to, rather than as a replacement of, physical mobility. Cross-cultural education and communication are richest, we contend, when including both components; when students and faculty prepare for, augment, and share ‘being there’ with those who will not. While initial pilot courses are being deliberately developed and facilitated, the long-term vision is to reach a stage when COIL courses will constitute a significant part of the curriculum. Accomplishing this goal will change the institutional culture as significantly as study abroad and international students and faculty already have. This award program recognizes, supports, and promotes the use of technology to enhance institutional internationalization and global competence among students at U.S. colleges and universities. Technology holds great promise for supporting activities that strengthen institutional global engagement through meaningful international collaborations for faculty and staff, and for providing students with experiences and opportunities through which they may acquire global competencies—the knowledge, skills, and attitudes needed to live and work in our multicultural and interconnected world. The ACE COIL Award is made possible through the generous sponsorship of Asahi Net International. This award recognizes institutions that have demonstrated an institutional vision for and commitment to enhancing curricular internationalization through the use of technology, specifically collaborative online international learning. The three winning institutions have demonstrated their capability and commitment to develop and implement globally networked courses that align with the models evolving at the SUNY COIL Center. The Provost of each institution will accept the award during this presentation and also offer brief remarks about their proposed COIL initiatives which will be supported by the SUNY COIL Center and the American Council on Education. WINNERS TO BE ANNOUNCED DURING THE SESSION AND PUBLISHED ONLINE SHORTLY THEREAFTER. Bio: Dr. Peterson is Presidential Advisor for Global Initiatives at the American Council on Education where she oversees the work of the Center for Internationalization and Global Engagement. Previously, she served as Executive Director of the Council for International Exchange of Scholars, which administers the Fulbright Scholar Program. 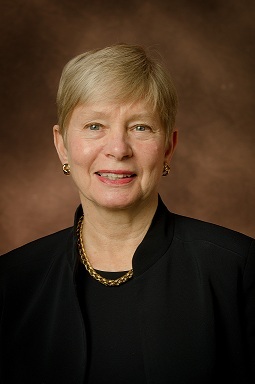 She is President Emerita of Wells College and St. Lawrence University. Her leadership positions have included Chair of the U.S.-Canada Commission for Educational Exchange, the National Women's College Coalition, and President of the Association of Colleges and Universities of the State of New York. She has served as a Board member of the UNCF International Development Partnerships and the Ford Foundation’s International Fellowship Program. Her current board memberships include the Council for International Educational Exchange, CONAHEC and the National Research University, HSE, Moscow. Dr. Peterson holds a B.A. from the Pennsylvania State University, an M.A. and Ph.D. from the University of Wisconsin and did post-graduate study at Harvard University. Abstract: Dr. Peterson will provide an overview of what the American Council on Education has learned from its survey, Mapping Internationalization on U.S. Campuses, and its implications for the use of technology in extending the reach of international education. Traditional models of providing opportunities for global learning need to be examined in light of the demographics of today’s student population. This challenge will require new thinking and close cooperation among institutions so that new approaches are an integral part of efforts to internationalize colleges and universities. Dr. Peterson will introduce the ACE-COIL Award Program to Advance Internationalization through Collaborative Online International Learning, sharing with the audience why ACE partnered with COIL to offer this award, and the value the COIL model provides to the field. She will then join COIL Director Jon Rubin in announcing the three award-winning institutions, who will each be represented by their Provosts who will be present to accept their award. Abstract: In this session the moderators from each of the today’s Road to Normalization Track sessions will summarize some of the key lessons and ideas put forward in each of those presentations. This will set the stage for a moderated discussion, also including our keynote speaker and the Director of the COIL Center, where all conference attendees are welcome to share the ideas, questions, or inspirations related to this year’s theme that they have gathered in the past two days. By working together and sharing ideas and best practices we can each contribute to advancing the collaborative online international learning field along the path to normalization.